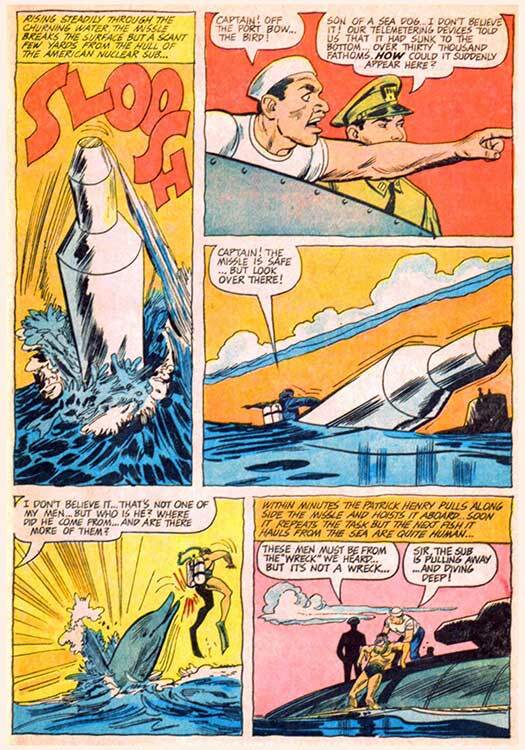 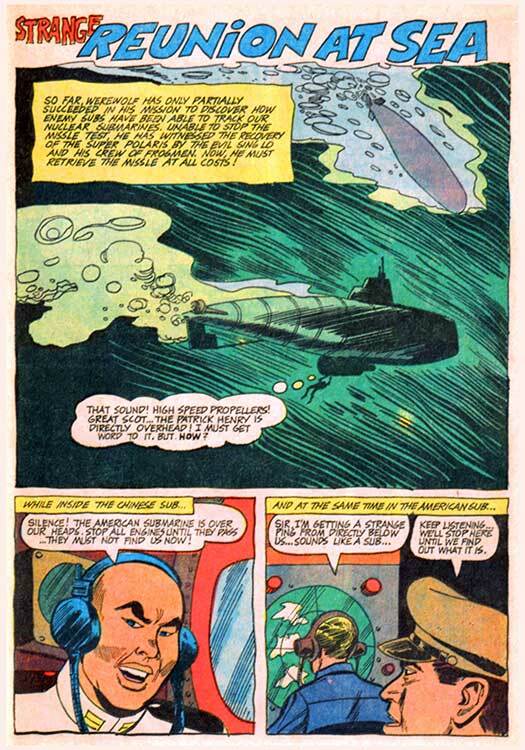 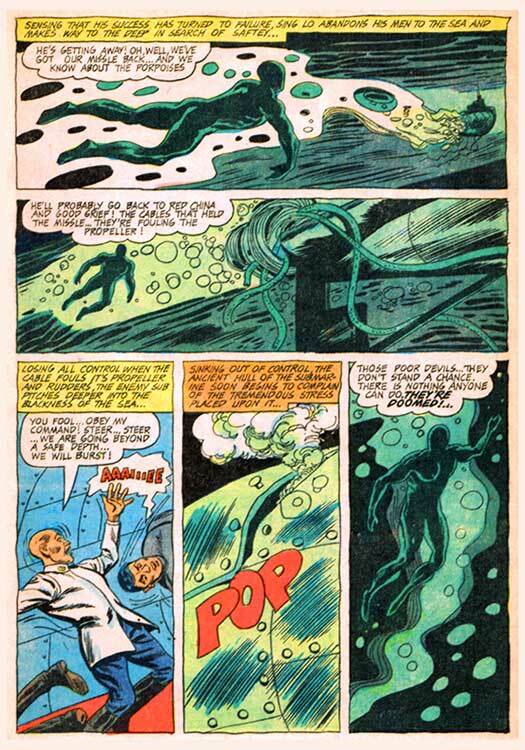 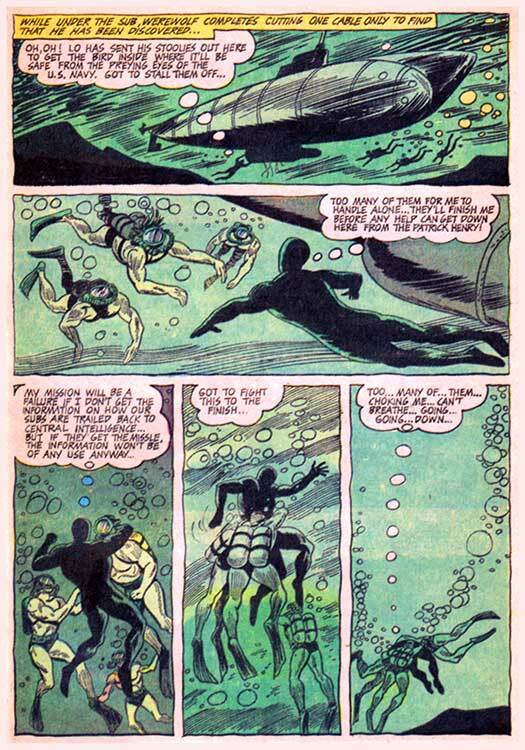 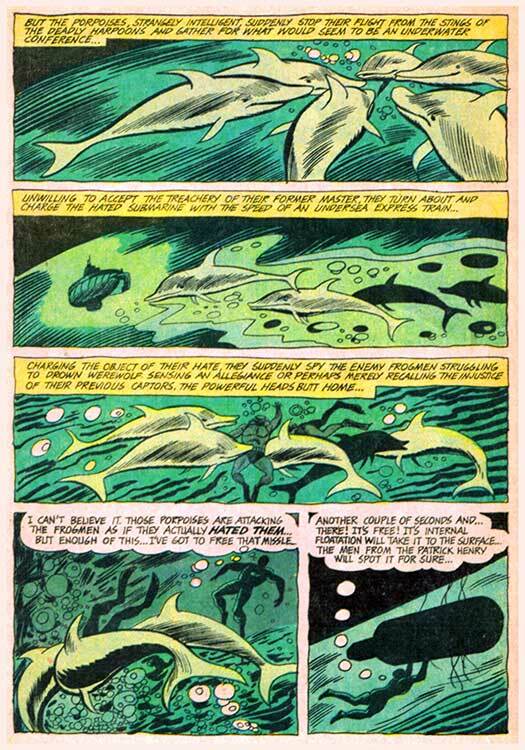 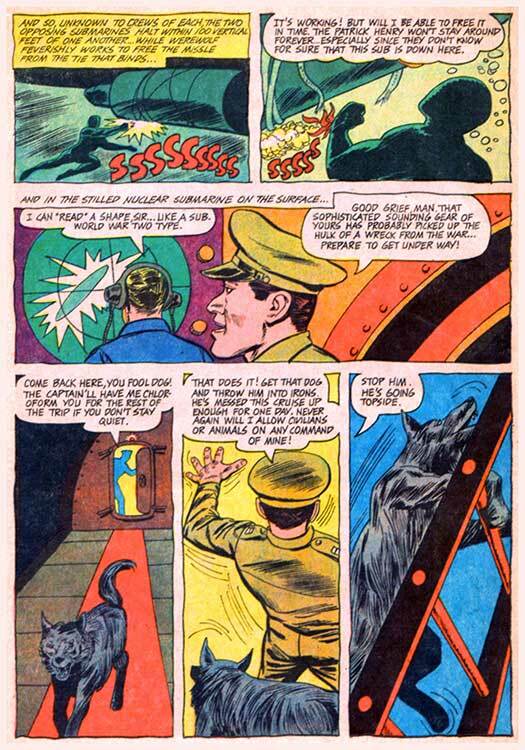 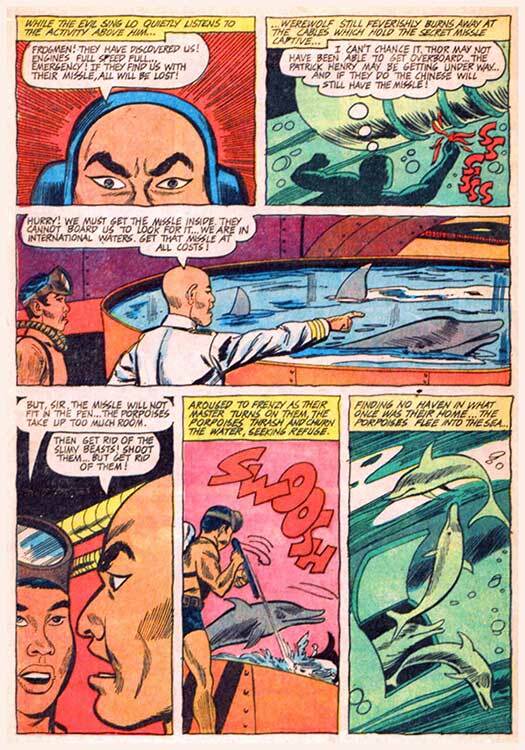 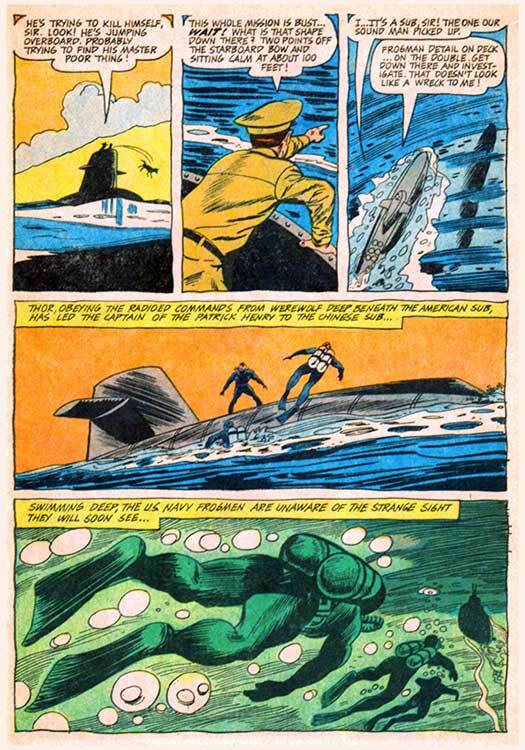 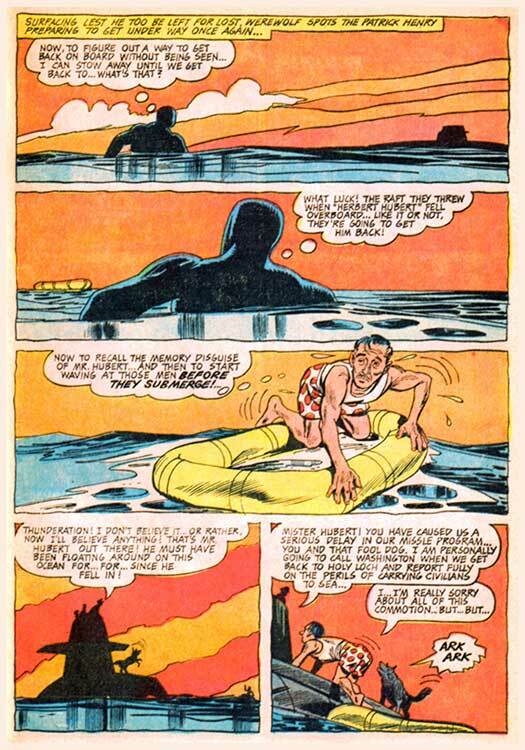 Hero Histories: WereWolf the SuperHero "Strange Reunion at Sea"
WereWolf the SuperHero "Strange Reunion at Sea"
To make a long story short, this week's posts have been the second issue of the weakest of the three Silver Age series adapting Universal Monsters into super-heroes. 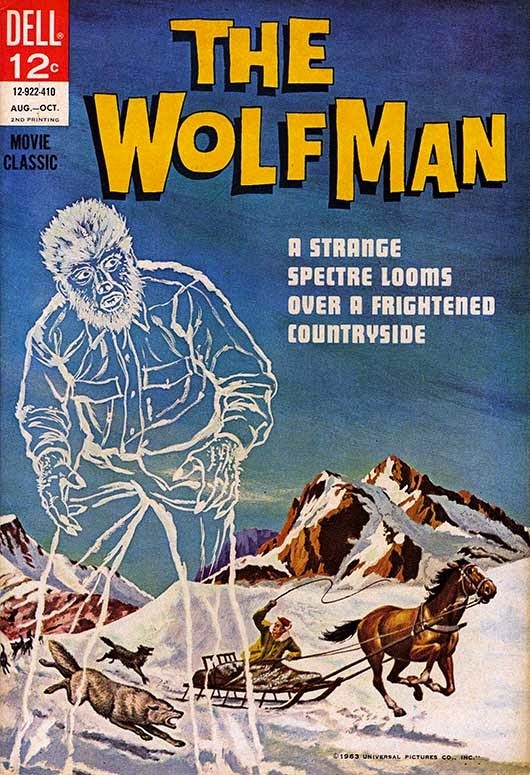 There are several completests who requested that we run this series as well as the better-known Dracula and Frankenstein, since it's never been reprinted, and the back issues are extremely hard-to-find. 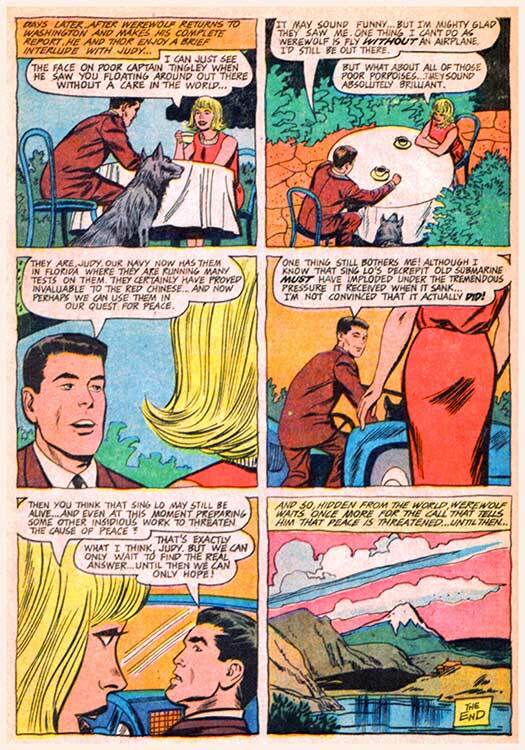 So ends the second chapter of the super-hero version of The WolfMan! 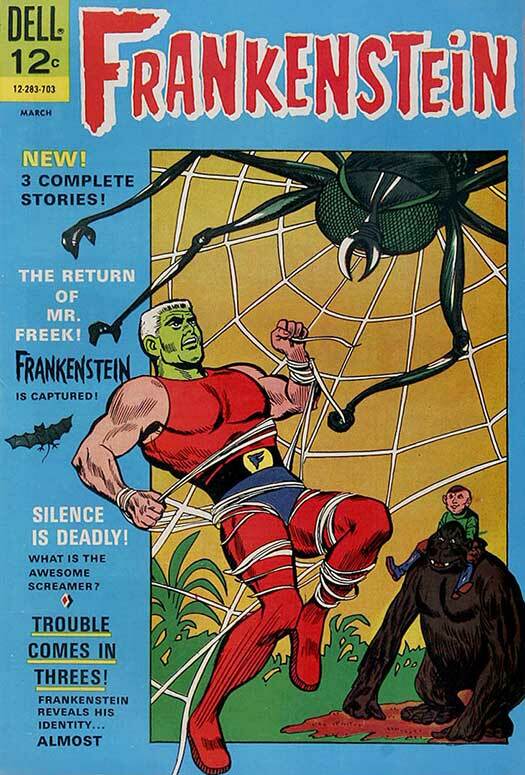 ...we present the final, never-reprinted issue of Frankenstein! 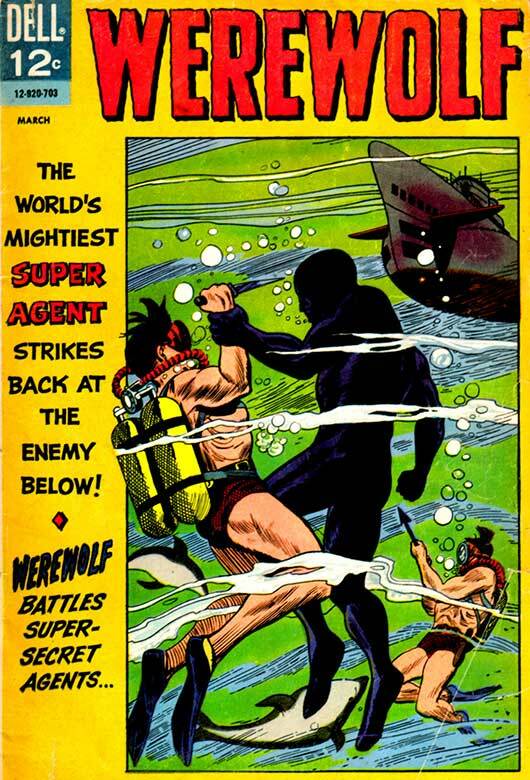 Dracula the SuperHero "Origin of Fleeta"
Dracula the SuperHero "Secret Cave"
WereWolf the SuperHero "Claws of the Dragon"
WereWolf the SuperHero "Jump to Danger"
Frankenstein the SuperHero "Silence is Golden"
Frankenstein the SuperHero "Monster Mayhem"
Frankenstein the SuperHero "Return of Mr Freek"
WereWolf the SuperHero "Chinese Water Devils"
WereWolf the SuperHero "Secret Mission"
WereWolf the SuperHero "Call of the Sea"
The Return of the 1960s Monster Super-Heroes!